The month of April is almost over but it was just chock full of opportunities for you to drink with us and at a very high level! We still have a few seats left at our 1999 vintage tasting this Friday night, but both the Trimbach Clos St Hune and the Peter Michael versus Aubert tastings are SOLD OUT! But don’t worry we have a lot of GREAT tastings coming up for the month of May!! Check out the calendar of events to see everything we have planned for May and beyond- I already have events on the calendar for October, November and December! Barolo is one of the world’s most age worthy wines, but there is very little of these older vintage wines available on the open market today. I like to compare these Italian treasures to the great wines of Burgundy, another region that has to deal with harsh conditions with a varietal that is very finicky. Nebbiolo like Pinot Noir only produces great wines in the a few areas of the world. Join us as we experience these 10+ year old Barolos including legendary wines like the 2007 Gaja Costa Russi which is technically a Barbaresco but I thought it would be fun to throw in a foreigner from the Piedmonts other great region for the Nebbiolo varietal and the Costa Russi should be one of the highlights of the tasting but that’s why we do this scientific work here at Wine Watch- you just might like the 2003 Giuseppe Rinaldi Brunate-Le Coste Barolo (not a great vintage but one of my favorites!). For dessert we have a rare treat the Cappellano Barolo Chinato, the Piedmonte’s answer to fortified wine like port. There will be a few small courses sent out to accompany the wines by chef Toni Lampasone. This tasting is limited to 15 tasters. The fee for this event is $150 + tax, for reservations call 954-523-9463 or e-mail andy@winewatch.com. This tasting is limited to 15 tasters. The fee for this event is $150 + tax, for reservations call 954-523-9463 or e-mail andy@winewatch.com. Let us know when you make your reservation if you have any food allergies and Toni will be happy to accommodate you. Barolo has a long history of wine production, the area was named some 400 years ago and probably came from the Celtic brolio or brol, meaning "wood" or "orchard". The region of Barolo encompasses approximately 3,000 acres of vines situated southwest of the town of Alba, in all or part of 11 communes. First is La Morra, with nearly one-third of the total acreage. Following in decreasing order are Serralunga d’alba, Monforte d’Alba, Barolo, and Castiglione Falletto, and parts of six other villages. 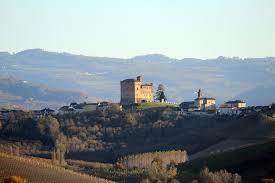 One of the most famous and most sought after vineyards in Barolo is Cannubi. There are two main valleys in the Barolo production zone: the Barolo Valley to the west, and the Serralunga Valley to the east. La Morra and Barolo itself are the major villages in the western valley, which also encompasses Cherasco, Novello, Roddi d’Alba, Castiglione Falletto and Monforte are the major towns; Diano d’Alba and Grinzane Cavour are also included in this district. There are distinct characteristics that are indigenous to the wines of various area: the wines of Serralunga Valley have suggestions of licorice and tar, the Barolos of Serralunga itself display camphor and mint; those from Castiglione Falleto have a pronounced licorice characteristic as well as nuances of spice, mint, dried peaches, and prunes; those from Monforte recall spices, mint hazelnuts, and almonds. The wines from the Barolo Valley bring up underbrush and truffle, as well as licorice. Those wines from the village of Barolo have less of a licorice character but more suggestions of underbrush, truffles, and mint. The wines of la Morra, especially those from the slopes, combine nuances of white truffle, mint, tobacco, spices, cherries, and blackberries and those from Cannubi display motes of white truffles, underbrush, raspberries, and black cherries.